Testimonials — Wedding Photographer in Malaysia speciliazing in Destination Wedding all around the globe. Being a wedding photographer in Malaysia for more than 10 years, we are thankful to stumble upon many amazing clients which we not call friends. Below are some encouraging words from our lovely couple. Thank you so much for all the support and taking your time to drop us a short reviews. It’s truly a blessing to be part of your special day. Best wishes always ! Mun Keat came highly recommended when we were looking for our wedding photographer and after seeing his photos, we were sold. We knew we had to get him and so the moment we confirmed our date and venue, he was the first vendor we engaged. Let us first give credit to his lovely wife Jayce for being the lovely and friendly person that she is. From the time of our first email, she was always available to tend to our questions and getting MunKeat's opinion on our theme colours and wedding programme. It's true they say that behind every man's success is his wife. Having Mun Keat as our photographer was one decision we did not regret. Both Mun Keat and Yung Yaw made it so easy for the both of us, knowing that we were both very very awkward in front of the camera. Mun Keat knew how to lighten things up and was very good at capturing our emotions. Despite rushing for time, he insisted that we did our first look and exchange of cards before the ceremony. And we're really glad he did cause that moment was really special for the both us. Everyone else commented on how professional Mun Keat was and how he made sure every detail was perfect before he took the shot. He was easy to work with, friendly and most importantly his laughter and smile was contagious. Not forgetting his amazing assistant that day, Yung Yaw, who was equally as comfortable to work with and always making sure every shot was picture perfect. Well it's no surprise our photos turned out amazing. Beautiful memories captured that will be kept for a lifetime. Can't stop watching our montage over and over again!Thank you so much Mun Keat, Jayce and Yung Yaw for the lovely service and pictures! 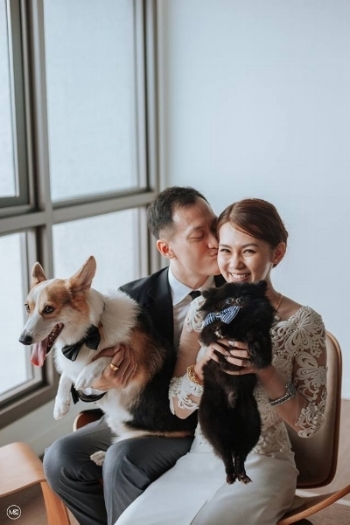 Mun Keat and Jayce shares the same wedding date as us and that just means he was there capturing our wedding moments on his wedding anniversary! Thank you for giving us the pleasure of having you as our wedding photographer. After having spent some time thinking about how to put my thoughts and emotions into words that would do Munkeat justice, I hope this post adequately encapsulates the gratitude and delightedness that Stephane and I feel towards him and his team. Munkeat came to my knowledge through glowing recommendations from my wedding planner. Though initially drawn to the lightness, artistry and timelessness of his shots, it was the actual meeting of him in person that sealed the deal. Munkeat had such an amazing aura, exuding warmth, friendliness and most importantly, genuineness. I felt so comfortable around him and was immediately convinced that he was the photographer I wanted to shoot my special day. Despite the heat (sorry!) and hectic schedule, I was very impressed at how calm and cheerful Munkeat remained throughout the entire day. Due to delays in the schedule, he barely had any time to take the getting-ready, family and couple portraits. Nevertheless, I am absolutely amazed at how many gorgeous, high quality pictures I ended up receiving from him. Something I really want to highlight is the fact that Munkeat had the foresight to notice that having only 2 photographers cover the wedding dinner of around 600 guests would spread them out too thin. He knew how much stress I was already under, so without question or discussion, he simply sent me a message generously offering to provide a third photographer for the evening do, at no extra cost. I was so pleasantly surprised and in awe of his professionalism and genuineness! I was told that if there was one thing that I should invest in, it should be in getting a good wedding photographer, as the captured moments will last a lifetime. Without hesitation or a shadow of a doubt, I can really say that Munkeat was worth every single cent. He is truly a master at what he does, in a league of his own; one of the best photographers I know. Out of the many decisions I had to make for the wedding, this was easily one of the best decisions that I made. Stephane and I could not recommend him more and am so grateful to Munkeat and his assistants, Andrew and Manoj, for so beautifully capturing every moment of our wedding day. The only thing that we regret is not having spent enough time working with and getting to know Munkeat due to our packed schedule. Since then, we have been eagerly looking for another opportunity! It was back in 2012 when we first met Munkeat for our very 1st photoshoot (maternity photoshoot for my 1st born) . It was a love of first sight when we came across with his works and since then it was unstoppable. In 2018, it is our 4th photoshoots with Munkeat (i know we are obsessed with his photography magic). Once again, we would like to thank and show our gratitude to Munkeat and the team for the wonderful pictures taken for us. We are beyond words on the amazing photos for our little family of 4. Its always been a difficult task to capture the two little kiddos with limited of time ( i know its extremely hard to get the kiddos to get a proper photo, we had tried thousand of times but none of the photos taken by ourself are even decent…LOL). We also appreciated for the effort made to put a BIG smile on our kids face during the photoshoot (thanks to my boy) and made us felt so comfortable during the photoshoot. I guess we can officially print out the photos and proudly hang on our wall. And, we will definitely come back and look for Munkeat again in the future for our 5th photoshoot with him. Not forgetting the lovely Jasmine (assistant photographer). Her positive vibes despite the rain in the morning definitely cheer us up and calm our nerves. We couldn’t ask for more from both Jasmine and Mun Keat as both of them gel well and did exceptionally well capturing “The Moment” from different angles. Munkeat was recommended to us by a friend and we instantly fell in love with his portfolio and photojournalist touch and thought he would be perfect for what we had in mind for our Indian wedding. We were so certain that we booked Munkeat before our wedding venue! :) Prewedding working with Munkeat was very easy. Munkeat and Jayce were respectful of the fact we were out of country and it was easy to do calls and plan despite the time difference and distance! Working with Munkeat and Jasmine over the two days of our wedding was wonderful. Indian weddings can be very challenging since there is so much going on at once but they had no problem capturing the perfect moments. They made us feel calm and relaxed in moments of stress. We LOVE our photos! We were initially nervous since majority of our photos were taken indoors and lighting isn't always the best. However, the photos came out fantastic and we are still struggling trying to pick photos for our photo albums since there are sooo many good ones. We strongly recommend Munkeat and team! It was love at first sight; that was how i fell in love with my husband of 10 years. That was what i felt about Munkeat's photos too. I immediately fell in love with his photos when i first saw them. It was at the moment that we've decided to choose Munkeat for our 10th anniversary shoot with our daughters. We had so much fun during the shoot and our girls felt so easy with his presence they were so cooperative. You know what people say about taking photos of kids. We're truly blessed with our dear daughters and not to forget Munkeat's approach ability that made the photography session a brisk. When we first started looking for a photographer to shoot our wedding in Malaysia, we had no idea where to start. When we came across MunKeat Photography 's work early on in the process, the decision was simple. His amazing photos stood out for us and we were lucky enough to book him for our wedding. I am a big believer in photographs. As much as we stood back and appreciated moments during the wedding, these photos will now always jog our memory of our special day and we will keep these for a lifetime. Kingston Yong and I could not be happier with the photos and are excited to share this photo montage that was prepared by the team. Thank you MunKeat Ho and team for sweating under the hot sun, spending the new year period with us and capturing these moments during our wedding. Photographer was the first wedding vendor we engaged and the probably easiest choice too, selecting Munkeat was a no brainer. His creativity, experience and passion showed that he is not just a photographer but also a true artist. During our pre-wedding shoot at the snow, we had so much fun we forgot it was a photoshoot session. Munkeat and Jayce both have the required interpersonal skills that connected with us and made us feel comfortable (especially for Jian). Even our dog, Mia listened to instructions to pose for photos. We trusted Munkeat and his team so much that we let them decide on most things. Munkeat and team also went above and beyond our expectations throughout our whole wedding experience. Having Munkeat as our wedding photographer was so important that we would have moved our wedding day just to suit his availability. Munkeat and Jayce, thank you will never be enough for your brilliant work of art and most importantly your friendship. Memories of the great times we had in Melbourne and at the snow will be imprinted in our hearts forever. A big thank you for the beautiful collection of photos! Sam and I were absolutely delighted looking through them and can't quite put into words our appreciation. We spent hours going through them and spotted so many good moments. It was very difficult for us to decide our favorites for the album. It was like our wedding day was beautifully relived all over again within its pages. Mun Keat, Zach and Jayce were a pleasure to work with right from the beginning. It was hands-down, one of the best decisions to have them photograph our big day! We were extremely meticulous in looking for a wedding photographer who would be able to capture all the spontaneous moments of our intimate wedding and to tell our story through the photos captured, especially since Sam is a creative individual himself and me being a perfectionist. We sifted through many options, and when we came across Mun Keat, we were instantly sold on his eye for details and the quality of his shots. We fell in love with his portfolio and decided we must have him. Mun Keat did what we hoped for with his artistic approach and an eye for photography. He has great taste in music too! He is definitely a talented and experienced photographer. We love how natural he pushed the boundaries of standard "posing" photography and did an amazing job in bringing out our natural chemistry beneath the exceptionally beautiful backdrop of our wedding venue. Planning a wedding physically apart at the opposite end of the globe wasn’t easy, but Mun Keat and team made it so stress-free. We truly appreciate your untiring effort to accommodate our needs and made our big day that much memorable. Give us a holler when you’re visiting Canada! I still remember how I came across Mun Keat - It was over a year before I even got engaged and call me crazy but I had already decided Mun Keat was going to be my wedding photographer when the time comes! Having gone to a few weddings and saw many wedding photos of various couples, I knew I spotted something different when I stumbled upon his pictures randomly on my Facebook newsfeed. I saw raw emotions of this couple (Johan and Melissa) beautifully captured in photo by Mun Keat, and I never thought I could be this moved by wedding photos. I always believe good photography is a mix of talent and skills, and that is apparent in Mun Keat's work. As soon as I got engaged, Mun Keat was on my non-negotiable list of wedding must-haves and I was so glad the day I booked him! During our wedding, Mun Keat and his team made Justin and I feel extremely comfortable around them, and boy they made us laugh a couple of times too! I always knew I could trust Mun Keat and his team with taking great couple photos but when I first saw our 'same day edit' photos during the wedding dinner, I was awash with gratitude because they also captured beautiful photos of us with our loved ones especially our parents. My father is one who does not smile a lot so I am thankful for Mun Keat who must have gotten his timing perfect to capture my favourite father daughter moments. If there was anything to complain about Mun Keat, it would have to be him making it so difficult for us to pick and shortlist the photos for our album as there were way too many good photos! :) I have to say it was pure joy going through the photos and knowing that we will always have these beautiful photos to look back for the rest of our lives. A big thank you to Mun Keat and team once again! Through the entire day, Munkeat and his team no failed to put a smile on their face even though they were tired. Other than Professional, there's no other words can describe them! Both of us are sincerely grateful for all their effort and again telling ourselves that we have made the best choice for having Munkeat! Our family and friends liked them very much with compliments! And not to forget our Bacon & Nugget. Lastly, the photos we received were beautifully taken by Munkeat and his team! Can't wait to receive the second part of our wedding highlights! Looking forward to engage him again for our maternity / anniversary. But when it came to choosing the person and team to capture and immortalize our special day with our loved ones - We did not think twice about it - We went ahead and booked MunKeat more than a year in advance! And it was, without a single doubt, the perfect decision. Having MunKeat and his team as our ROM photographers was one of the BEST decisions we could have made for our event. We have blown away by how gorgeous the photos of our engagement shoot. Mum Keat didn’t miss a thing, in fact there were many moments that seemed to have gone by unnoticed that he was able to capture for us! Looking at those pictures now brings back so many vivid memories! His shots are more than just a picture! He is best known for capturing timeless and unique moments.I cannot say enough about him and his wonderful talents. We really don’t think we could have chosen a better person or photographer, and his ability to make everyone feel at ease is a genuinely natural skill. His work are truly amazing! We are struggling to find our favourite ones because we love every photo that taken on the day. I will definitely recommend Mun Keat and his team to my friends and clients who need a fantastic photographer! Looking forward more of his art displayed on our wall and thank you so much once again! Munkeat and his wife, Jayce make such a good team. Munkeat being the amazing photographer and Jayce, the supportive wife in the background handling everything else. I was lucky to be introduced to Munkeat by one of my goodfriends who was getting married, I knew from looking at the pictures that there was no one else I would consider hiring for my wedding. Jayce is always so responsive to emails, and it is very reassuring because I planned my wedding whilst living in Australia. My photos turned out really well, with lots of natural and candid shots. Munkeat and his team were also really generous with their time, never rushing to get things done but making sure they take their time to get the perfect shot. I would highly recommend Munkeat and his team to anyone getting married/taking family portraits. He makes you feel comfortable and it shows in the pictures. In short, pick up your phone to ring Munkeat and you will not be disappointed. Munkeat is simply amazing. He is enthusiastic, ready to give you his 110% and the photos he captured are just breathtaking. He has his own ways to make you feel comfortable that you will not even feel like you are doing some awkward pose for those gorgeous photos he took. We worked with him for our pre-wedding photo shoot and our wedding day too. He is just too good and words cannot describe how lucky we are to have him on one of the happiest days of our lives. Mun Keat and his team were absolutely brilliant. Having done extensive research on various photography styles, we decided that Mun Keat's was exactly the type that worked for us. Their approach towards their photography was professional, courteous as well as efficient, and they demonstrated their ability to deal with a variety of photography situations. The pictures came out as we expected - artistic and tasteful, capturing the essence of our wedding. Separately, Jayce was on the ball with the administration side of things. She is attentive and prompt, which is immensely helpful when dealing with a myriad of vendors in the build up as well as during the wedding. We cannot recommend Mun Keat's services enough to anyone looking for quality wedding pictures to last a lifetime. We had Munkeat and team photograph all three events of our Wedding in July 2016. We are so glad we chose you! Every bit of the journey with Munkeat was a pleasure. He is such a warm, friendly and easy going person and from the initial meeting to the actual day to the post wedding follow up he and his team were a dream to work with. Usman and I are not the most comfortable in front of the camera but with Munkeat around it was so easy. He isn’t imposing yet gets all the shots and makes you feel at ease! The pictures he captures are beautiful and we felt our wedding was beautifully translated through his images. Thank you Munkeat and team for all the love and detail you put into your work! We cannot wait till our next life event to have you shoot us again! On our big day, we did not get to experience the "behind the scenes" that were taking place as we were busy enjoying ourselves. We were reminded of that at our friends' wedding recently by witnessing the tremendous dedication and professionalism of their photographer behind the scene. He was none other than Mun Keat, who was our wedding photographer too! It has been a year since our big day and we are still able to reminisce every moment of our wedding day through the beautiful and emotional photos captured by Mun Keat. Thank you Mun Keat, we always knew our wedding photos were in the safest hands! Mun Keat and his team did an amazing job photographing our wedding in Melbourne. Communication was great and most importantly, the photos were captured so beautifully. Thank you for engraving such special memories!! During my wedding preperation, I been searching high and low of all wedding photographers within the industry because I wanted a professional photographer whom able to capture the real moments of happiness without "planned" poses and so. I came across Mun Keat's reputation and works from other fashion line friends' recommendations. I have to admit that I am a fussy client who researched everything before taking up others opinions. My first thought was fashion line advice wouldn't it be too "fancy" to present what i wanted for my wedding since I looked to capture real and touching moments. After viewing his wedding assignments, i immediately contacted him to confirm my wed date without second thought. On my actual wedding day, My Hub, family and I enjoyed throughout the ceremony because Mun Keat and his team never fail to capture every moments in the wedding. What made me impressed the most was despite each shoot was so rush but he able to capture precisely. Unlike other photograhpers that need you to hang on few minutes to adjust certain poses whatsoever but Mun Keat never required you to do so. That is even your family portrait just 2 shoots and u get a real perfect outcome for it. What's more to ask for such a great photographer? 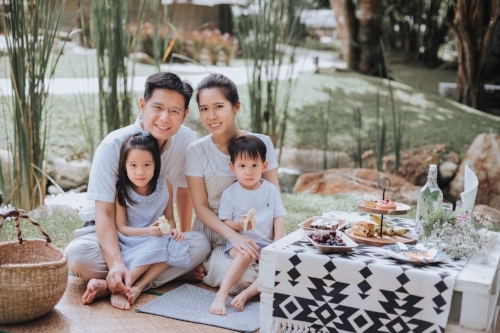 After 2 years of my wedding, i am back this year for my family portrait with my little ones with Mun Keat again. Can't wait to work with him again. Last but not least, if you are looking for a prof photographer who is passionate in his field with friendly personal attitude, you must go for Mun Keat and Team! Mun Keat and his dedicated team has been in parts of our life, recording many of our events. He captured our pre-wedding, wedding day, three pregnancies as well as portraits and our growing children. MunKeat, the walking Polaroid is always attentive, always smiley and always with some bubbly surprises up in his sleeves making photo sessions warm, fun and memorable. There is this saying that the only way to freeze time is to photograph them. Mun Keat is the best time stopper and we are certain that we will be having him again for our children and our children's children life events! "Great Photography & Pleasant to Work with!" Lan Tian and I are MunKeat followers on Facebook and Instagram for quite sometimes. It was such a great experience to have engaged their service. What I could see on MunKeat is not only a great wedding photographer that pays attention on details, colors, and composition, he is also good in conceptualize. We brainstormed through Skype, he patiently listen to our 16 years of love stories. He then came out with three sections of the shot to captures our stories, and he nailed them all! Thank you Mun Keat for doing this. The shoot was fluid, my wife and I didn’t get tired at all, in fact we wished the shooting could have last a little bit longer. Aside MunKeat, I need to thanks his wife, Jayce for the fantastic coordination. Also Mimi Make Up, Remy, big thanks to you, because you make my wife looks so beautiful, you truly brought up her features and the simplicity. When we first started planning for this wedding, we decided that the only thing we will splurge on is a good photographer because it's only through pictures that we can have this day etched in our memories forever. And for both of us, Munkeat was hands down our best and only choice. We fell in love with his portfolio and decided we must have him. After booking him, we did not even need to worry about photography for that day as we have full confidence he will deliver. True enough, he did. We had only received the montage but it's enough to tell us that the rest of the set would be as beautiful. We just can't stop looking through the photos and admiring how perfect every shot is. Just like Jayce had told us, Munkeat is a perfectionist. Not only has he got talent, Munkeat is a ball of joy to have around. We are both usually very awkward in front of cameras but he made us feel so at ease and gave us so much to laugh about. It's like as if we had known him forever. Our family and friends commented on how they love our photographer for his great attitude. And of course, this goes to McCain as well. You can see that both of them never stopped running around, bending up and down, climbing on chairs just to get those perfect shots. Every candid moments were captured perfectly. We have so much respect and appreciation for them. It's been an honour for our simple and humble wedding to be shot by Munkeat Photography. Thank you so much for all your hard work. For those of you looking for your perfect wedding photographer, look no further. Munkeat is your guy. I got to know MunKeat when he first started in the wedding industry as a wedding photographer in Malaysia. Even early in his career, I was drawn to his images. They captured emotions and moments really well. You can sense that he wasn't intrusive in any of his shots. There is a sense of quietness and peace in his shots which was beautiful to me. Since then, he has gone on to become one of the region's leading photographers with his style and brand of photography. He has matured in his approach and his composition is always impeccable. I also know him personally and he is as nice a person as you will ever meet and also an easy person to work with. Despite, his success, he remains grounded. Thank you so much for your wonderful work and friendship MunKeat. It is given that you are the best photographer but also you are most kind and cheerful person who puts biggest smile on clients face like we did . Photo will last you forever so MUST book most trusted, dedicated, talented and awesome person.Thank you Jayce for releasing him every single weekend for people like us. Not having your husband on the weekend can be tough but trust me, he is the best of the best. We pray that your work flourishes even more in the future and best in your marriage too. Than you so much and big fat hugs and kisses from both of us. When selecting a photographer for our wedding, Winston and I were not only looking for someone with a flair for capturing emotions but one who could put us at ease while they photographed us and our loved ones. Enter Munkeat, who first impressed us with a pre-wedding briefing so we could align our expectations, and then blew us away on both days of our wedding. Munkeat and Louis were equal parts patient, attentive, thoughtful and on the ball (Munkeat could even spot the off-centred placement of my mum's tiny necklace pendant when taking a big group photo of my family!). And we cannot even begin to describe how he works with [natural] light so beautifully. We absolutely love the magic in the photos we have seen so far and have no regrets engaging them to capture one of the biggest days of our lives. We cannot recommend this team more, and can assure you they still strive for excellence despite their star-studded portfolio. Remarkable is what Munkeat Photography is. We were looking for a wedding photographer who would capture all the spontaneous moments and raw emotions in our wedding and Munkeat did that perfectly. We love how natural his photographs are and the fact that they aren't too "posed" and over the top. Munkeat is an extremely dedicated photographer and would go that extra mile to capture the best photograph. His passion and creativity shines through and he found the most amazing locations and light for our pre-wedding shoot. We had a great time working with him - he is a consummate professional and has a jovial and easygoing personality which made us feel very comfortable and relaxed every step of the way. Thank you for capturing all the unforgettable moments of our big day, we have received countless compliments from friends and family on the beautiful photographs and we constantly relive our wedding through your albums and slideshow! Johan and I are not fond of documenting our lives in photographs. We rather experience the moment firsthand, but we knew it was a must to get our wedding event(s) documented, so when we turn grey and senile we still have proof that we were once young, hot, and had hair! We found MunKeat on the World Wide Web and connected quite instantly. The force was strong with this cheek-heavy, babyface, young talented photographer. He is not only skilled in his craft or has a good eye, he is genuinely a good person to be around with. Thank you for all the 3000+ beautiful photos of us, and cheers to our lovely friendship." MunKeat was our first (and only) choice because we loved his style of capturing emotions and his eye for seeing beauty in the simple. It is quite difficult to find another photographer like Mun Keat who is able to catch things that others will often miss. He is extremely thorough in his work, striving to give his clients the best pictures possible. He is very professional, and yet lends such a personal touch to his work. He goes the extra mile and is cheerful and works well with others. We really, really are so glad MunKeat was our photographer. Many people were moved to tears watching our wedding montage! We also want to take the opportunity to thankMunKeat for putting his all into capturing the important elements of our relationship - faith, love, family & community. He is so professional in his work and yet so accommodating & engaging. Thank you for giving us your best. Our dream for good wedding photography came true!! Thank you!! We appreciate you, Mun Keat!
" At the very beginning ofplanning of our pre-wedding shoot, we have been surfing the internet to look for a photographer who could capture something very natural and meaningful for us. And yes, we finally found MunKeat! The first time we saw the gallery from his website, we have just made the decision to let him be the part of our wedding journey. During the pre-wedding shooting, we were annoyed by the haze and the rain but this couldn't stop our fun to take the photos. Munkeat was being very professional and fun during the photo shooting and that make us feel very comfortable and Jayce is very cheerful and helps alot during the shooting. The trust between us is like a friend more than a client. Once again a big thank you to Munkeat and Jayce for such a great work "
Munkeat was an easy choice for us - we viewed several portfolios but Munkeat's body of work immediately stood out amongst the rest. His photos are a mix of the classic wedding shots but also incorporate a more relaxed, casual style which appealed to us. We generally hate having our photograph taken but Munkeat put us at ease and did a miraculous job of making us look good. Everyone who has seen our wedding photos has commented on how good the photos are, and view our photo album with smiles on their faces. The customer service from start to finish was faultless as well. All the deliverables were delivered within schedule and there was instant and constant communication with us at all times. We really weren't worried at all once we picked Munkeat; we knew we had made the right choice and that we could just relax and let him do his thing. So cheers Munkeat for the memories and all the best for the future. It was more than 6 months ago since the day we tie the knot! But if we could pen down so much detail after such a long period of time, it does convey something. The experience must have been truly wonderful that it left such a deep impression in our memories! The day when the planning starts, we knew that we did not have big budget for the wedding, but we were hopeful. When we decided to sign up Mun Keat, we received many disagreements from our friends. “Are you insane!? Throwing your entire budget on him! ?” Nevertheless, we were very persistent. We truly believe that photographs are the only physical memories you can keep, so we said:” I don’t need Vera Wang or Jimmy Choo. Screw that, I am splurging on photography!” 6 months post wedding, we can only say this – Mun Keat is our wisest investment amongst all! We came across Mun Keat’s portfolios online. It was already love at first sight. His photos are uniquely pleasing to the eyes and connecting to the hearts. His master pieces are not photographs. They are storyboards. His mind works like wonders. The capability of being able to visualize a story in his brain is simply amazing. Those works require deep love and passion, talent, determination, a keen eye for details and a creative brain that always works out of the box. You can find those qualities through his works. We simply could not reject him! Aside from being very professional in his job, he surprised us with his amiable personalities. Extremely down to earth, genuine and approachable. There was never an awkward moment with him. Lih-Hern and I are definitely camera shy. He was more than capable to keep us comfortable and natural during our portrait shooting. For once and on the most important day of our lives, we enjoyed being in front of the lens. It was even more enjoyable to see him having fun lying on the grass to find the best angle. It was a fun-filled heart lifting experience. The photos are simply heartwarming! Thank you Mun Keat for giving us the best time of our lives! We are both very happy for you of how your passion has brought you this far. You have demonstrated so much courage and determination for your passion. Your story to your achievements today is truly inspiring! We are indeed very proud of you! We wish you all the best in your career path and may your ever burning passion brings you to greater success and lead you to where you desire! Cheers to many years of friendships! I met MunKeat many years ago and have been following his work ever since. I knew before I was even engaged that I wanted MunKeat to be my wedding photographer and when the time came I contacted MunKeat right away and that was it! He is very attentive and pays close attention to details. He is professional and the final set of photos he provided us were nothing less than amazing. He was always on time and ensured that he took specific shots I requested for. He has made a mark in the industry not only because of his amazing work but also with his great personality! Thank you so much for capturing our wedding dinner in Saujana! We were so happy with the photos, and that you managed to create so much variety in the shots. All within such a short space of time. He managed to capture all the intimate moments even within the crowd, in such beautiful light- I was telling Raj that Mun Keat really UNDERSTANDS light! Munkeat’s is the most professional photographer we have had the pleasure of coming across. Not only is he a good photographer he is also very likeable as a person. We have had him for both our pre-wedding and actual day shoots. I was really frustrated during my tea ceremony and seeing him somehow just calms me down. I guess that's the one thing that stands out to me during the whole process was his patience and that really helped me keep my cool. His work is notably good and it is also very personal because he always pays attention to the little details. We can trust that he always puts in the extra effort in all of his work. One of his best traits is that he helps us relax and feel natural during our shoots. The pictures are amazing! And all of our friends agree with us right after they saw our pictures! Overall, his attentiveness, flexibility and skill has helped us produce some of the best pictures we have ever had taken. We will definitely be using him again! We first engaged MunKeat for our pre-wedding photoshoot. We wanted shots which were quirky and looked as if it came straight out of an indie music album cover - MK delivered just that. It was extremely fun shooting with MunKeat and his assistant IYao - we felt awkward initially but MunKeat helped settle us down with his jokes and friendly banter. MunKeat's passion shone through - one moment he was perched on a high chair and the next, sprawled on the grounds just to capture that perfect shot. Not sure if we would be this comfortable with other photographers. The expression and moments captured in his shoots were very touching and it lives in us - words could not describe how satisfied we were with the end result. We engaged MunKeat for our wedding reception immediately after the pre-wed shot. Look elsewhere if you are looking for a conventional photoshoot - MunKeat's style and concepts are very original and non-conformist. Once again, thank you MunKeat and IYao - see you for the next shoot for our 5th anniversary! We can't thank MunKeat enough for the stunning photos he took of us for our engagement shoot. He really took the time to get to know us as a couple in order to bring out the best of us. His guidance, patience, and infectious enthusiasm really put us at ease and made the entire photo shoot a breeze--even for the groom! His photos are timeless and we truly believe his ability to capture those subtle, intimate moments between couples so effortlessly speaks volumes of his talent as a photographer. We love his attention to detail, great use of natural light and artistically framed shots. The colours from his photos have so much depth and you can tell a lot of time and thought has been given to every single one of his beautiful images. We can't stop flipping over our album and are so happy to have had the opportunity to work with MunKeat. He is a true professional and will go above and beyond to ensure he captures "the perfect shot"! P.S MunKeat also shoots in film, which is a huge bonus in our eyes! MunKeat! An absolute pleasure to have him & team to be a part of our wedding. When we first met MunKeat, we weren't asking for conventional photography with intentional posting. What we wanted was the freestyle of his creativity that able to "captured the moment & people's natural expression" during our wedding. MunKeat's piece of work definitely delivered more than we could asked for, despite his car broke down on the journey to groom's house, yet it did not stop him from his task (we didn't even know the incident until the end of session). We loved the beautiful moment captured on that day. His great.. GREAT personality definitely lifted up the tensions we both had on wedding day. My wife describe him the most "bubbly" person. MunKeat, appreciate the great work. you have our gratitude and always remain a great friend to us. We thoroughly enjoyed our experience with Mun Keat. He was friendly, great to work with and super accommodating. He gave directions during the family and friends photography sessions which is great especially when coming from a huge family, things can get complicated or drawn out very quickly! It also helped to ensure that he captured everybody on that day. We loved the end product and had a tough time narrowing our pictures. 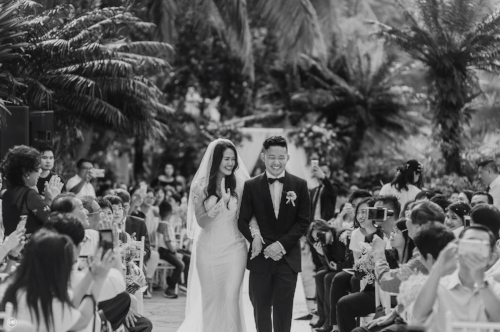 Mun Keat's pictures were beautiful and really captured the emotions on that day. Thank you very much for giving us such great memories of our wedding day. My husband and i were thrilled with the outcome of our wedding photos. It began with our first meeting with Munkeat at his studio where he really took time to understand our unique event. His natural easy going persona gave us confidence that the photos would reach our expectations. Munkeat’s team was very accommodating and really understood what we wanted out of the photos. He managed to capture the beautiful moments naturally and the results speak for themselves. We have strongly recommended him to our family and friends for future events. Thanks again for the beautiful photos and memories, Mun Keat. Always a fan of your work! Hong Tee — Mun Keat is certainly one of the best photographers that we have ever come across. The reason we know this is he has the innate ability to capture the moment. It is not about taking good looking pictures but it is also about being able to convey the emotion at the time the shots were taken. And the fact that he is a very likable person who is able to draw out the best in you makes him the perfect choice as our wedding photographer. A picture is worth a thousand words. This is never truer than on your wedding day. This is also why when I first got engaged, my first thought was: I’m going to find the best photographer my money can buy! Mun Keat was highly recommended by a close friend…but the initial meeting with him and his photos really sealed the deal. He is friendly (extremely smiley!) and comes across as someone who is genuine. Plus he has a good sense of humour. I really liked the fact that he wasn’t pushy at all! Then, there was his amazing portfolio – I just fell in love with the style and feel of his photos. During my pre-wedding, we had a lot of fun, firstly picking out the outfits that my husband and I would wear and then wandering around London and Cambridge waiting for inspiration to strike. Mun Keat would find the most unexpected places with fantastic lighting and detail. He made the whole experience very laid back and relaxed and gosh, he is one dedicated photographer! The lengths he would go to just to capture the shot really impressed me. I recall one shot where branches kept hitting his face because of the wind! My actual wedding day photos were wonderful as well – every happy and heartfelt moment, captured forever…till today, I regularly flip through my (priceless!) pre-wedding and wedding photos, and I am so THANKFUL that I decided to go with Mun Keat. So THANK YOU Mun Keat for sharing with us your unique brand of creativity, passion and fun! Thanks MunKeat for capturing our moments. We are really lucky to engage you for our AD. Thanks for making our day extra jovial with your presence, and thanks for giving us your 101%. We really love the pictures! We always wanted to have someone who can shoot naturally. It was our pleasure to have Munkeat and Yungyaw to shoot for our wedding. Munkeat is a very talented photographer. Our only request for him was to capture happy moments. He did not let us down, and in fact, he gave us more. He delivered to us, not only the photos, but real emotions and unforgettable moments too. We had such a great time working with him, air was filled with joy and laughter. We received great compliments from our friends and family on his work. Thank you Munkeat. We would love to have you for our anniversary celebration in future too, book you in advance *winks*. Thanks Mun Keat for the lovely pictures! It’s amazing how you managed to capture all this lovely moments so precisely even though it only happens for a millisecond! Thanks so being so accommodative when the weather turns unpredictable. It is a real honour and joy working with you and your team. We had so much fun being around you guys and at the set! Thanks! MUNKEAT, is sincere guy with great passion in photography! I love his photos because it tells story and touching. He makes my smile so bright through the photos. Thanks again to MUNKEAT and Andrew to giving us such an amazing pre-wedding shooting. They make us fall in love in VENICE. His photos always impressed me lot. He makes us feel like having honeymoon in Venice rather than a photo shoot. The whole progress of shooting is so comfortable and relaxing. Steven and I really enjoy the session a lot. Though the shoot was done half a year back but the scenes and experience is still very clearly in our minds. Thanks for the great job and we appreciate it much ! Munkeat and Ndrew came to shoot for our pre-wedding and wedding day. I like munkeats style vintage old-school classic retro.. that’s how I would describe his photo signature. He’s very talented and very kind, also a very funny person. We laughed so many times about silly things. We had so much fun with him… the shootings were very natural. I luv the mood he create and capture that’s really awesome. I was checking out some other photographers portraits don’t know why Munkeat hasn’t get any award i don’t want to mentioned the other Photographers name but Munkeat’s works are way more better. I was looking at his editing once and it was very simple.. he was finished in 2-3 minutes. We love his unique style and his passion for photography. I was discussing with some Photographers from Swiss about his style and shooting, and they were telling me that it is very very hard to find someone like him. So that’s a plus from our side and it was our honor to had him as our Wedding Photographer, we recommend everyone who really want amazing photos to hire him!!!!! Specially for Europe people it’s is great to shoot around in different locations, one last word from me : The MVP Photographer of the year 2012!!!! “One the best investments I’ve ever made in my life. 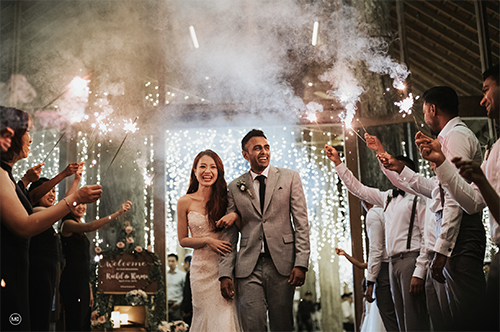 Great returns… ”That would be how I would sum up photography services I took up with Mun Keat for my wedding on the 12th of February. The pictures he took spoke a thousand words – each moment captured, each laughter caught was something that brought smiles (and tears) to our eyes (Jackson & I). After all, once a wedding is over, there are only the photos left to bring back the memories of that day. And we are glad we chose him as our photographer because thanks to him, we are able to relive that special day through the hundreds of photos taken to immortalize almost every minute of that day. His personality is nothing short of his great photos. He was super accommodating to all our requests on that day and patient with our overly “happy” guests during the reception (thanks to Mr. Carlsberg!). He was friendly with everyone, which was essential as it enabled the crowd to be comfortable with their pictures being taken. His work and personality shone so much that some of our guests actually asked us for his contact to introduce to friends for their upcoming weddings – that’s how good he is! When I saw you face down on the church floor to get the bridal march shots – I was thinking to myself wow this dude really got us covered! I must say that from the montage we are most happy and pleasantly impressed so far! Mind you, I’m a serial perfectionist hahaha. You’ve got some real skills there and I absolutely love the way you capture “the real shots” in a wonderfully stealthy way and know just how to read a couple and figure out what they’re looking for! Even your choice of accompanying music from Kari Jobe was awesome. Am sure you get heaps of compliments but honestly we couldnt have made a better choice and are looking forward to catching-up with you when our photos are all ready – this time perhaps over some beer! Mun Keat’s work truly portrays a great artist at work w great zest of energy and passion. His quick shutter and clicks of each snapshots capturing the moments is quite a skill that we truly admired. We truly enjoyed working with him and having him at our wedding.. His affectionate smile constantly put smiles on us and our guests which was a great add on as we celebrate the joyful occasion..
Great work MK and keep it up!! Words could never fully describe how appreciative and thrilled we are about the masterpiece that you’ve created for us. You really made the most important day of our lives memorable by capturing all of our special “moments” and more importantly, you went “above and beyond” any of our expectations (hike up Brga Hill with a 10 kg load…*salute*…such an amazing spirit). You are AWESOME! Thanks for staying with us throughout every moment. I must say my hubby and I watched the slide show over and over again…countless times! It is with my wife’s and my deepest gratitude that I would like to thank you for capturing such a special occasion for us so beautifully and I really can’t thank you enough ! You’re the REAL thing ! You know what, we truly appreciate what you’ve done … and its not only me … tons of people said its superb your photos ! and they are chasing for it now. I’m DEFINITELY recommending you to ANYONE looking for a photographer for whatever occasions! I would like to personally encourage you in your skills and talents that is being instill in you all this while, you have been a great blessing to Thomas and I, your charisma and generosity brings forth opportunities and its great to have great photographers who don’t calculate much with clients, and one of them is you! 2010 will be a remarkable time for you as you progress into your own entrepreneurship!! I pray that God will be so gracious and kind to lead you through no matter how the circumstances may be! I knew you had natural talent when you first showed me pictures you took during our Philip Morris business trip to Switzerland. So, there’s no guessing I booked you as my wedding photographer even before I decided to get married. And your quality of work never ceases to amaze me and my other half every time we look at them. Its not only the creativity which makes you stand out from a lot of professionals, you have an eye to capture beautiful moments as well as the true characteristics of individuals with ease. I’ve been following your latest posts; your work has been improving and makes me want to get married all over again, literally!!! We were honoured to have Mun Keat as our wedding photographer for our wedding in New Zealand. Despite the long flight from Malaysia the day before, Mun Keat was up early the next morning all fresh and bright as day. My nerve as a bride quickly disappeared as Mun Keat’s good humour made me feel completely at ease and present to everything that was happening. For that, I’m eternally grateful. Mun Keat’s artistic talents is second to none. He knows how to work the best angles that compliments us yet making us feel comfortable and at ease. All my guests at the wedding commented on how efficient he was. He’s a hardworking, reliable and definitely a talented and experienced photographer. The images he captures portray honest emotions that will forever be close to our hearts. Everyone I showed the photos to were very impressed with the quality and the wonderful moments that were captured. I will not hesitate to recommend Mun Keat not only as a wedding photographer but also for any events. He captures the wow factor in every shot. Hi Mum Keat…. we got to see the wedding photos and they are absolutely beautiful… loved the montage a lot….you guys did a fabulous job!!! Thank you so much ! !